divisions for men and women. with medical expenses for Coach John Perry. but early registration is preferred. hospitalized and his family has to deal with medical expenses. ASDB lost our first game last week on Thursday against Lourdes High School, 0 to 3. James Wilson IV is our head coach and Ashleigh Warden is our assistant coach. Next game will be this Thursday vs. Edison at CSDB at 4:00p.m. 9/11/18 Tri-Match with Model high and Armuchee High at Model in Rome, GA.
Ohio at Olney Friends School in Barnesville, OH for our season debut. We are 1-0 after beating a very solid team this evening on the road. Up next is at OSD vs KIPP on Thurs. 9/13/18. School football game is a big disappointment. past long time Gallaudet defensive coordinator. communicate easily with his Gallaudet players. 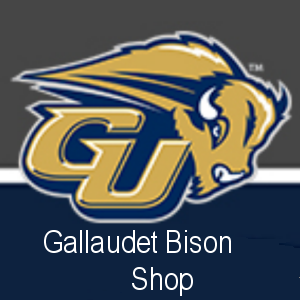 Gallaudet running back transfer to them.